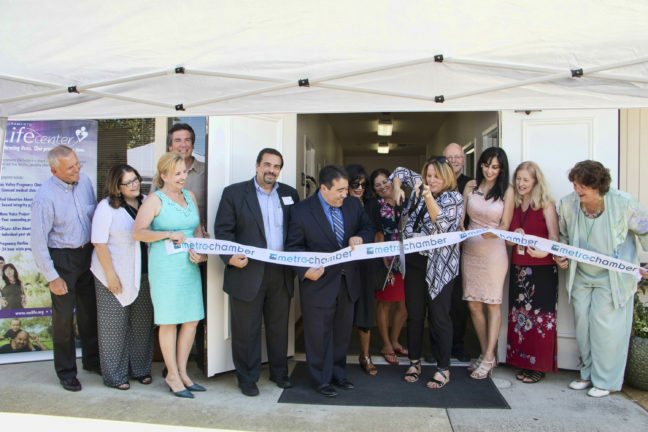 Sacramento Life Center exceeded its original goal of $750,000 by raising $1 million toward the purchase and renovation of its new medical clinic in the Arden area that serves low-income women and teens, particulary those who are pregnant. The capital campaign, which began in June 2016, raised funds to purchase and renovate the building, add two ultrasound rooms, a new patient bathroom, a main classroom and a baby needs closet. The move and renovations allow Sacramento Life Center to officially apply for accreditation from the Accreditation Association of Ambulatory Health Care. The Sacramento Life Center’s mission is to offer compassion, support, resources and free medical care to women and couples facing an unplanned or unsupported pregnancy. The Sacramento Life Center’s licensed Sac Valley Pregnancy Clinic includes a primary clinic and two Mobile Medical Clinics that provide all services for free, including pregnancy testing, STI testing, ultrasounds, advocacy for men and women, education and resource referrals. The nonprofit also offers a school-based teen education program, a 24-hour hotline and a program for women seeking support after having an abortion. For more information about the Sacramento Life Center’s Sac Valley Pregnancy Clinic, visit www.svpclinic.com. For more information about the Sacramento Life Center or to make a donation, visit www.saclife.org.